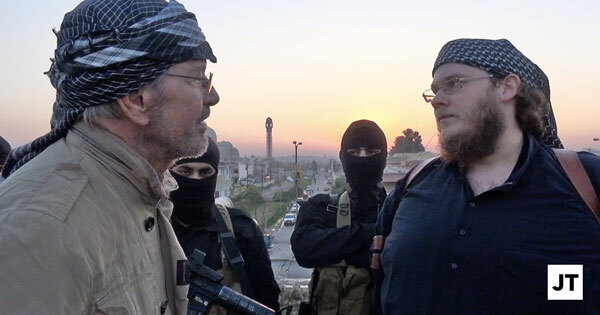 German author Jürgen Todenhöfer recently returned from an incredible visit to the Islamic State. His experiences and his conclusions are sobering. He believes that the threat represented by ISIS (which he considers a legacy of George W. Bush’s illegal war in Iraq) and the strength of the Islamic State are greatly underestimated. He also believes (and I tend to agree) that ISIS cannot be defeated by bombs; that unless a viable, credible alternative is offered to the Sunni population, ISIS will prevail. I disagree with his conclusion, though, that ISIS is the greatest threat to world peace. It is a threat, to be sure, but apart from random attacks by ISIS sympathizers (which, thankfully, are few and far between) I don’t think ISIS represents a serious security challenge to the West. If I went looking for the greatest threat to world peace, I’d be more concerned about a potential conflict between nuclear-armed adversaries in Asia, or about a Putin presiding over a failed Russian oil state, whining to the world that because he has so many nukes, he must be taken seriously and be treated with more respect.